Like many dog people, I celebrate my dogs' birthdays. With rescue dogs that gets a little tricky, so I use their estimated age and celebrate their adoption day as their birthday. I don't get too crazy about it, but the dogs might get an extra biscuit or two. Ginger, however, gets another day of celebration every year: today is the third anniversary of Ginger's freedom from puppy mill hell as a breeding dog in an infamous VA puppy mill. This Amish-run facility had no electricity or running water and had already burned to the ground once in March of 2007 from unattended propane heaters, killing 167 dogs. Best Friends rescued 178 dogs and saw the facility shut down three years ago today - when I met Ginger, who was then known as Butterscotch. I am in awe of her resilience, her determination, and especially her sense of humor - this little dog has quite the mischievous streak and I love her for it. Puppy mills are now on the public radar more than ever before, but this is no time to let up the pressure. The place that produced Ginger never should have existed in a civilized society. 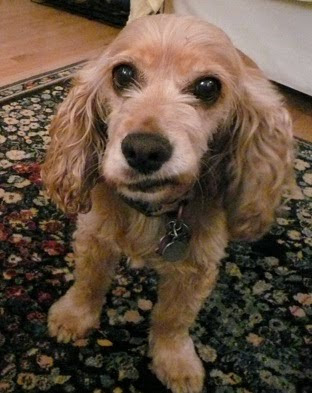 Please help me celebrate her Freedom Day by learning about puppy mills - and how to stop them. You might also want to check out the story of Mabel, Freedom Day spokesdog. 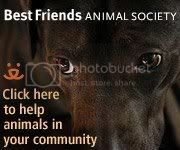 wow really cute.i love dogs.people should step forward to rescue them.